The Wave Applique Scissors’ rounded double point of this duckbill scissor makes work of cutting tight angles and corners easier! 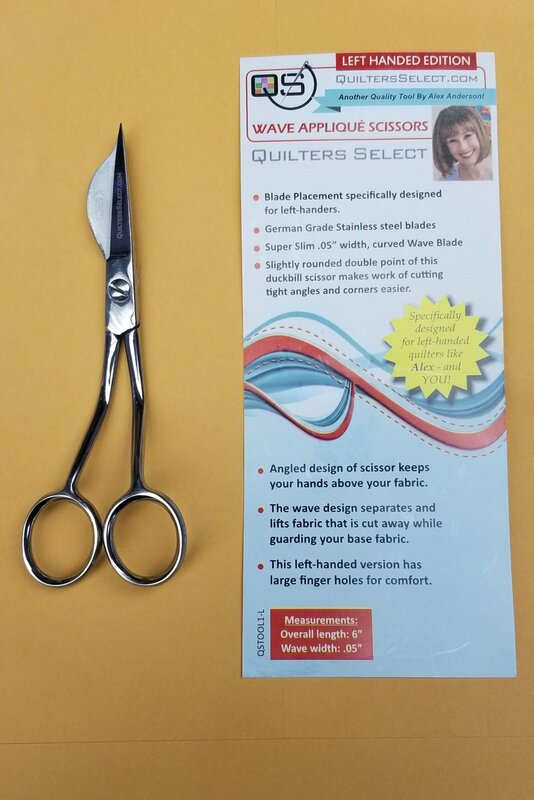 This scissor has German Grade Stainless steel blades and a wave design that separates and lifts fabric that is cut away while guarding your base fabric! It also comes in a left handed edition, which has the blade placement specifically designed for left-handers – like Alex Anderson herself – and YOU!